Christianity is not a religion of adhering to a set of rules or listening to good advice. The Gospel has been given so that we can be saved. However, there is a gap between the gospel of grace and our love for godliness. This must change. It’s time to consider why Jesus saved us. The why will give us the strength to persevere. God’s ultimate purpose to that question is, “. that we should be holy and without blame before Him in love”. Ephesians 1:4. We are then urged to put on the new man, created according to God in true righteousness and holiness (Eph. 4:24). 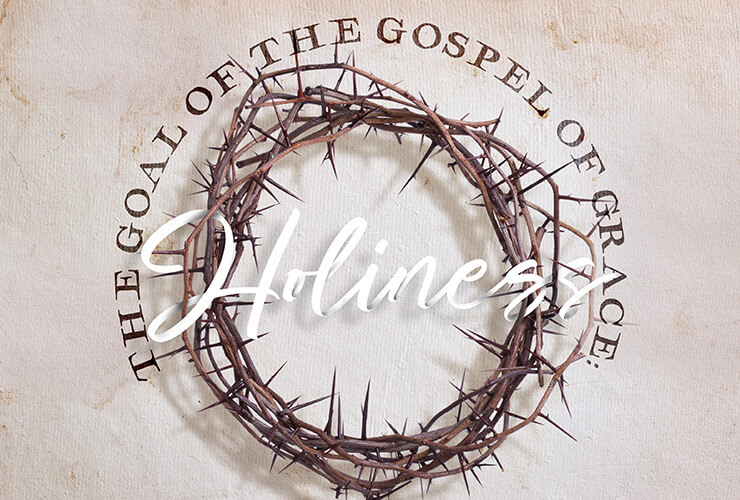 The Bible could not be clearer that holiness is the goal of our redemption, because our calling is a holy calling. Holiness is not just an option, we need to strive for holiness. The faith that puts us in right standing with God is a faith that works itself out in holy living. So, what does holiness look like? Is it merely keeping some rules, wearing special clothes or abstaining from certain foods? Holy living results in the renewal of God’s image in us. It is a life marked by virtue instead of vice. God wants us to have a clear conscience, or as Jesus puts it, “If you love me you will keep my commandments”. Grace has been given to us to be able to fulfil the law, not to achieve perfection but as we listen to the Holy Spirit and obey His prompting, we will be able to cut out anything in the way of His work in our lives. This is the process of sanctification, setting us apart for a relationship with Him. It is a lifelong transformation from glory to glory. The result is hunger for more of God is our lives. This is an unimaginable privilege of our generous and holy God who gives Himself to us so we too can be holy. We are the temple of the Holy Spirit and we serve a God of love, holy love.